Author of Franchise Your Business, The Guide to Employing the Greatest Growth Strategy Ever, and a franchise business consultant since 1985, Mr. Siebert founded the iFranchise Group in 1998 as an organization dedicated to developing long-term relationships with successful franchisor clientele. Mr. Siebert has worked with hundreds of franchisors, from start-up operations to corporate giants. He is an expert in evaluating companies for franchisability, structuring franchise offerings, and developing franchise programs. The strategic planning recommendations developed by Mr. Siebert have been instrumental in the growth and success of numerous national franchisors. During his career as a franchise consultant, Mr. Siebert has personally assisted over 30 Fortune 2000 companies and over 500 start-up franchisors. Some of the more prominent companies he has helped include 1-800-FLOWERS, Ace Hardware, Anheuser-Busch, Athlete’s Foot, Amoco, Armstrong World Industries, Auntie Anne’s Soft Pretzels, Berlitz, Bikram Yoga, Blockbuster, BP Oil, Buffalo Wild Wings, Bridgestone/Firestone, Carstar, Checkers/Rally’s, Chem-Dry, Chevron, Circle K, Claire’s Stores, Coldwell Banker, CompUSA, Comfort Keepers, Cosi, Culligan, Denny’s, Dippin’ Dots, DuPont, Einstein Brothers, El Pollo Loco, FedEx Office, Fidelity Investments, General Electric, Goddard Schools, Guinness, Häagen-Dazs, Hallmark, HoneyBaked Ham, IBM, Instant Tax Service, Jackson Hewitt, John Deere, Krispy Kreme, LA Weight Loss, Lenscrafters, Line-X, Little Gym, Manpower, Massage Envy. McAlister’s Deli, Mobil Oil, Nissan (Saudi Arabia), Nestlé, Oreck, Payless Shoe Source, Perkins, Petland, Philips Van Heusen, Pinkberry, Popeye’s, Quizno’s, Rita’s Italian Ice, Ryder Truck Rental, Sears, Senior Helpers, Shell Oil, Sky Zone, Sonic, Subway, Togo’s, T-Mobile, Texaco, and the U.S. Navy. He travels extensively to meet with companies considering franchising, and regularly conducts workshops and seminars on franchising in cities around the world. Mr. Siebert serves as a Partner and Member of the Board of Directors of TopFire Media, a franchise and consumer media company that specializes in public relations, search engine optimization, social media posting, pay-per-click marketing, and inbound marketing. He also serves as a partner in iFranchise Group International, which oversees licensed operations in the Middle East. For more than a decade, Siebert was on the Board of Directors of Franchise Dynamics, LLC, a premier franchise sales outsourcing firm. Mr. Siebert helped Franchise Dynamics grow from a start-up operation to an Inc. 5000 company with a staff of more than 30 professionals plus support staff whose combined credentials include the sale of more than 7,000 franchises. During his time on the Board, Franchise Dynamics won the Illinois Excellence Award and was named one of the 100 fastest growing businesses in Chicago by Crain’s Chicago Business. Mr. Siebert is a past member of the Board of Directors of the American Association of Franchisees and Dealers (AAFD), was on the Board of Advisors to Connections for Community Ownership, and was on a member of the Board of Directors of i9 Sports (a 140-unit team sports franchisor) during its sale to private equity. For more than three decades, Mr. Siebert has been actively involved in assisting U.S. franchisors in expanding abroad. He has provided consulting services to franchisors in more than two dozen countries and his efforts have been responsible for the sale of numerous international licenses. Mr. Siebert has also personally supervised the establishment of international consulting practices in Argentina, Chile, Japan, Mexico, Saudi Arabia, Peru, the Philippines, Spain, the United Arab Emirates, and Uruguay. Mr. Siebert has presented hundreds of speeches and seminars on franchising in cities around the globe. He has been a featured speaker for the International Franchise Association, the International Franchise Expo, the International Franchise Association’s Legal Symposium, the American Bar Association, the American Association of Franchisees and Dealers, the Franchise Finance Conference, the National Restaurant Association, the Canadian Franchise Association, the University of Chicago, Northwestern University, and at major franchise events in Argentina, Chile, Indonesia, Japan, Mexico, the Philippines, Peru, and Uruguay. He has been a featured guest on business programs airing on CNN, Fox Business Network, and other programs both in the U.S. and abroad. 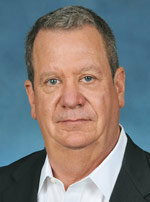 Mr. Siebert has also published over 250 articles in dozens of business and professional periodicals, including The Franchise Handbook, Success, Venture, Entrepreneur (both in the US and in Japan), Entrepreneurial Edge, Commerce, Franchising World, Successful Franchising, Business Opportunities Journal, California Restaurateur, and Food Industry News. Mr. Siebert is the featured columnist on “How to Franchise a Business” for Entrepreneur.com and is a regularly featured columnist in Franchise Times magazine, Forbes.com, FranchiseExpo.com and The Franchise Handbook. He holds a B.S. in Advertising and an MBA from Northern Illinois University, and has taught undergraduate and post-graduate courses in business and in franchising at Lewis University, Loop College, and DePaul University. I personally believe that the iFranchise Group has assembled the single most knowledgeable and experienced team in franchise consulting today.